Bill: My opponent surprised me, first with , then with . What now? Alex Weldon: I would play at a without hesitation, giving my opponent split shape and making all his stones look weirdly placed. However, you are stronger than I am, so if this corner is confusing you, there must be some sneaky play he can make that I'm not seeing. 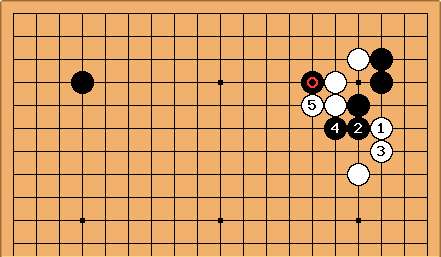 If he plays simply, at b, then W c looks like enough to me. 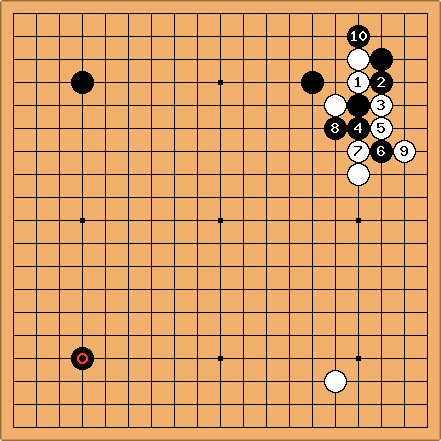 Bill: I played at a after great hesitation, and Black played at b. After the game I reflected that, although is hurting, similar sacrifices are made all the time to invade the corner. I have the feeling that I could have done better. 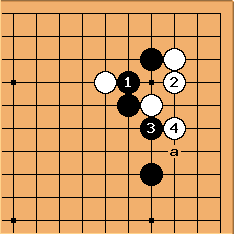 Bob McGuigan: After deleting and the white a black b exchange results in a shape that occurs in a joseki for the outside attachment on the 5-4 approach stone. 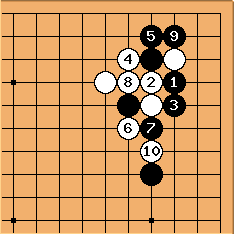 If that joseki result is locally equal we have to think about whether the presence of the and stones helps or hurts either player. IanDavis: I'd prefer playing at b myself. kokiri was my instinctive response also, but up to , i'm not loving black's position. 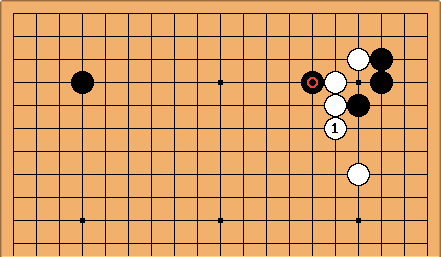 Can black play at a? 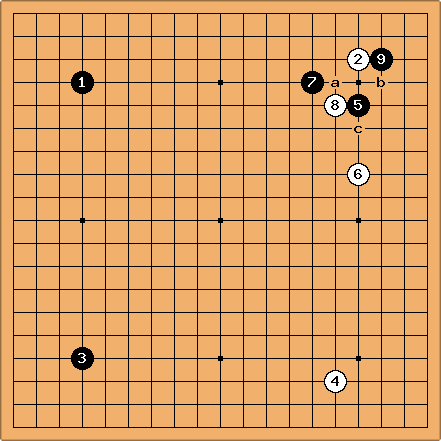 Bill: White can attack strongly with , , and . Unfortunately, breaks the ladder. After White is not so happy. is more severe and may be interesting idea.